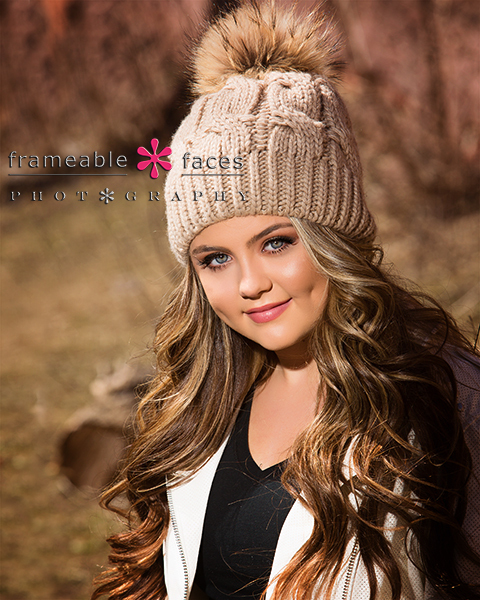 Audrey Astonishes In Her Return To The Frameable Faces Blog! 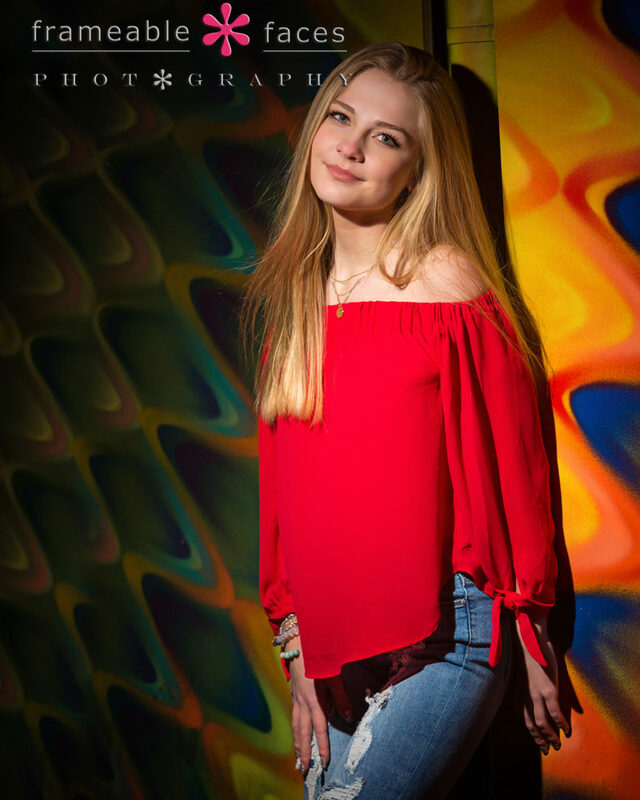 Audrey astonishes in this return to our blog with highlights from her senior session but we can’t say we’re surprised since she awed us with her spokesmodel session earlier this year! 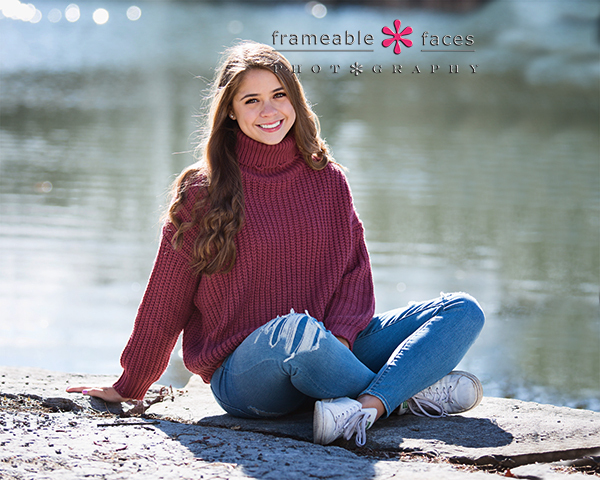 Audrey has been representing us for the class of 2019 at Troy Athens High School and we are huge fans of her and her mom Michelle! We have a lot in common and we’ve always felt like friends since day one, so we were looking forward to getting her in front of Ally’s camera one more time! So, let’s get astonished! Audrey had a penchant for marble and we knew just where to find it for this cool photo! Audrey astonishes – there’s no doubt about it, and we hope you enjoyed the highlights of our day with her! 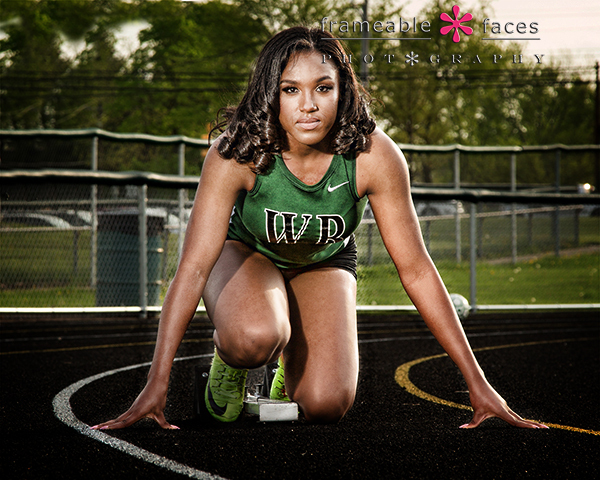 A Dashing Senior Session With JoJo In More Ways Than One! 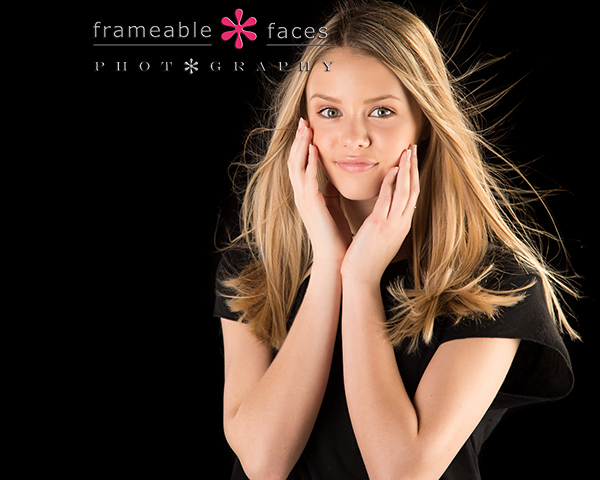 We started out in the studio for a few portraits and what a start to the session! 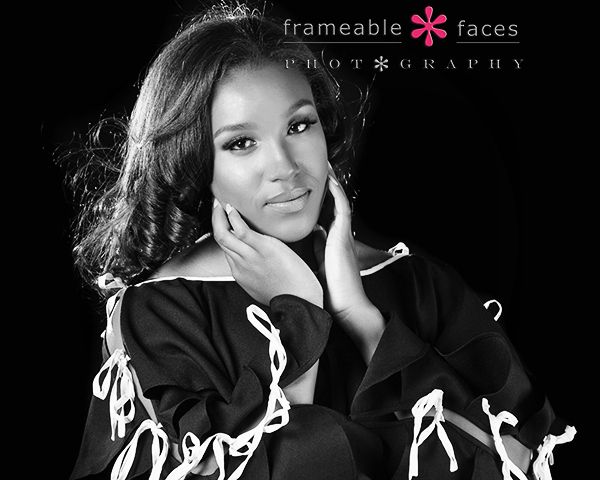 We started out with the black and blowy setup and this black and white photo is just so classic… love this! Next we broke out the pink paper and went live on Facebook Live for some behind the scenes fun – take a look! And here is the pretty-in-pink result! Now here is the coup de grace – an image that is pretty much immediate Frameable Faces ICON status – WOW. You will likely see this photo in our studio somewhere soon…. 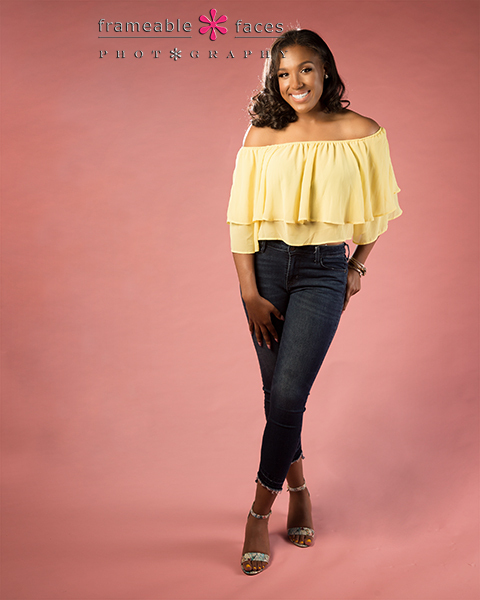 And there you have it – a dashing session with JoJo indeed!!! We hope you enjoyed the highlights from our day with her! 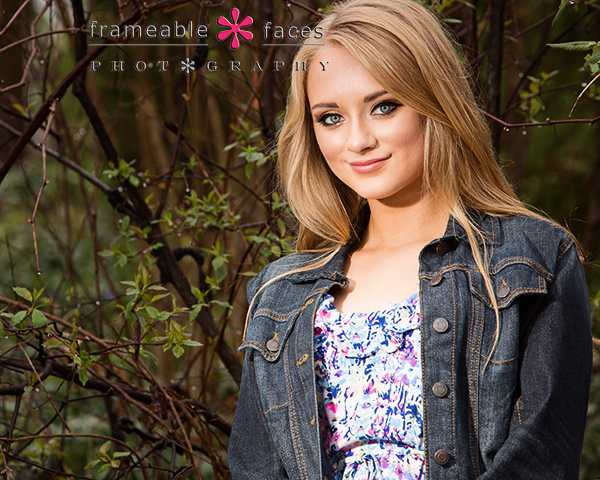 We Were Awed By Audrey On Her Senior Spokesmodel Session! We are in awe of Audrey! 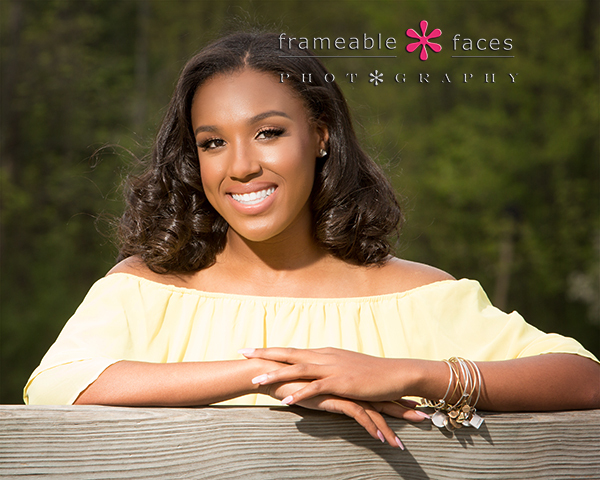 We were certainly awed by her on her spokesmodel session – what a cool human. We actually have so much in common with this family it’s scary… They’ve rescued a bunch of cats – so did we and we still have a couple of them. Audrey’s dad is in a band. So is Doug. They don’t eat meat. We don’t either…. It just seemed like the planets aligned for us to meet them and Audrey’s mom Michelle is as cool as Audrey – the apple didn’t fall far from the tree. 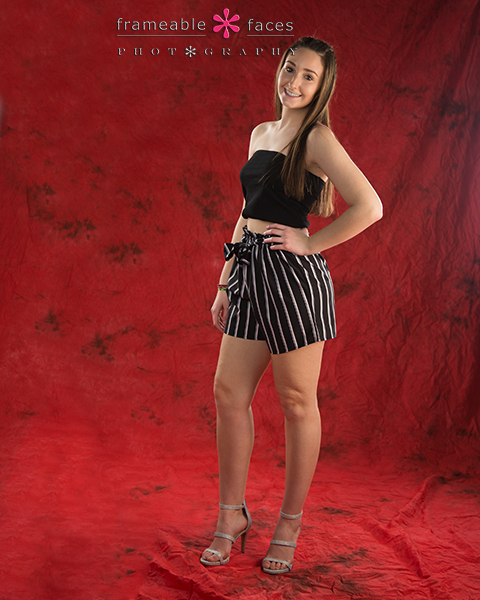 Audrey herself is a sharp cookie with personality to burn – we gotta say we think we really recruited well for this year’s spokesmodel crew!!! With Audrey we are also extra excited because she’s our very FIRST Troy Athens Redhawk!!! 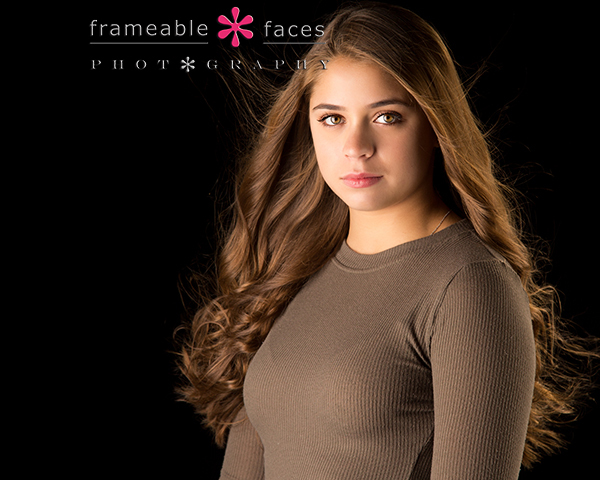 Next we broke out our grey fabric for the first time with this class of 2019 spokesmodel crew. We have two greys – the paper and the fabric and we like both a lot. We also did a little behind the scenes livestreaming for this part on Facebook Live – take a look by clicking on the video below! But lo and behold just when we were about to call it a day the rain stopped! We sprung into action and got a couple more gems – we even got in another livestream on Instagram! We’ll leave you with one more from outside – we were happy to get these because Spring is finally arriving and there’s a little color out there now…. And there you have it! 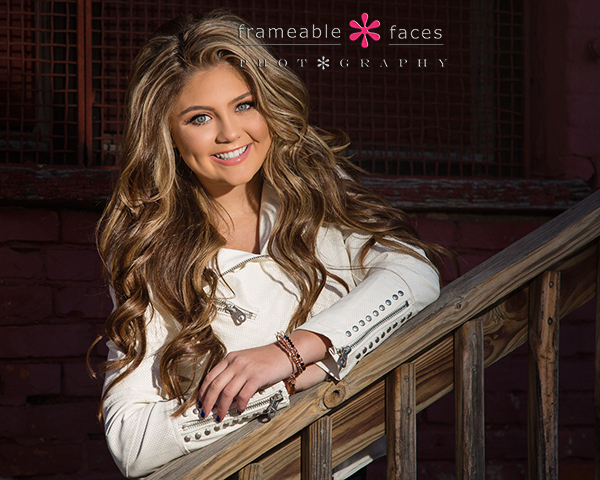 We were certainly Awed by Audrey – we can’t wait to get her in front of Ally’s camera again for her senior pictures! 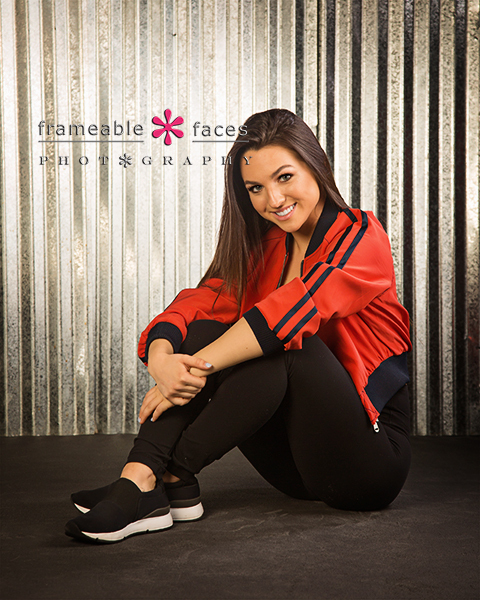 Claudia Closes In On Awesomeness On Her Spokesmodel Session! 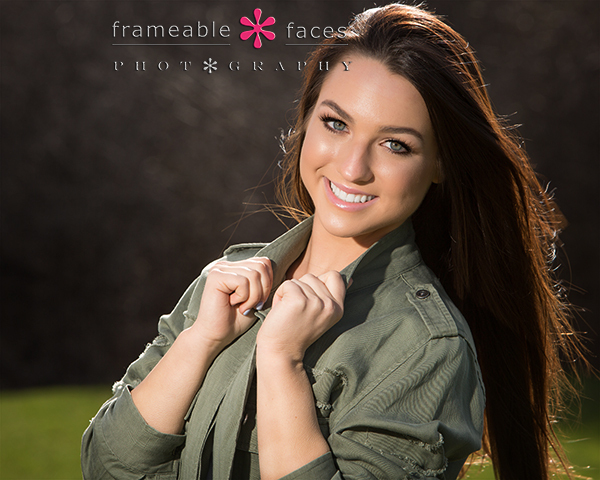 Yes Claudia closed in on awesomeness on her senior spokesmodel session and…. oh heck – what am I saying she totally got to awesomeness! 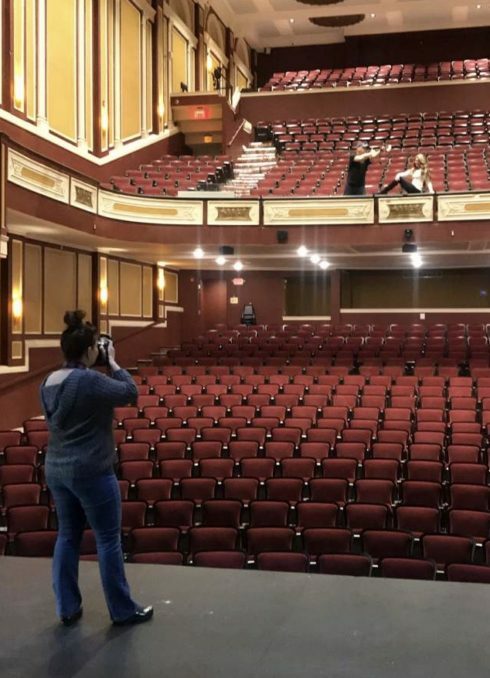 You’ll see for yourself in a sec…. 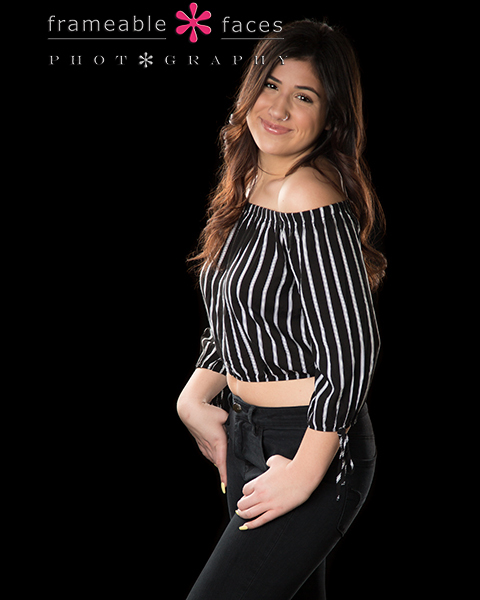 Claudia is another North Farmington Raider like us so we expected nothing but the best results and we got them on what was a really chilly day, but Claudia was a trooper and along with her mom Sandy we had a blast capturing some awesome images for Claudia to represent the studio for the class of 2019 with! Stunning! The shimmering sparkle of the water and the off camera flash makes for a perfectly composed photo with this beauty if we do say so ourselves…. And there you have it – awesomeness indeed! 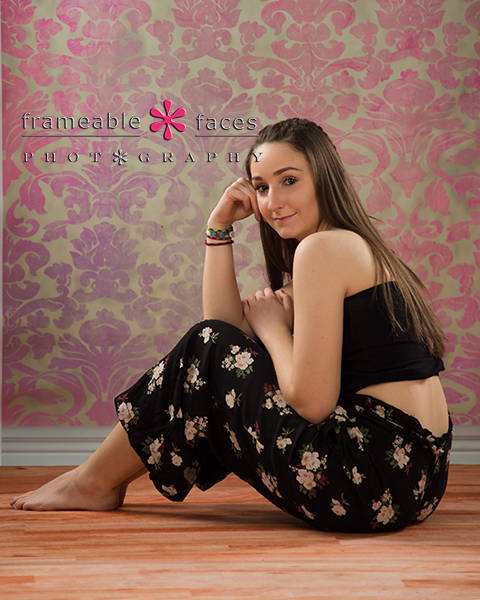 Claudia rocked it and we are so happy to have her representing our studio for the class of 2019!! !